ST JOSEPH'S Catholic School will have a secret weapon heading into this year's Primary Schools Cup in Bundy today. The school, in the team and coach Cherie Clancy's eyes, are already winners after gaining a unique opportunity to improve on their game during the event. 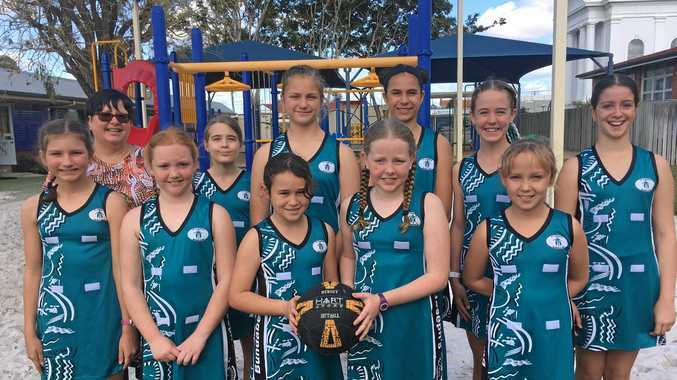 St Joseph's won the chance to be coached by former Queensland Firebird and Australian Diamond Laura Geitz when she visits the region as part of the Cup. She will coach the team at midday before the team finishes its games later in the afternoon. "It's wonderful for the girls," Clancy said. "We feel like we have already won the competition with this opportunity. "We have to thank Laura Stack for winning the chance." Clancy said the team is expecting a challenge when it starts. "There appears to be larger schools and most that play in town netball," she said. "We only have two girls who play in competition week in week out. "We're a school of 160 students so for us it is just a fantastic chance to compete." Clancy said Mila Rose and Lily Orchard will be the two players to look out for the side. "Lily is a gun shooter and Mila is an amazing defensive player." The side starts its Cup campaign against Coomera Anglican College Green at 8.25am.